EA Sports announced that Rory McIlroy will be the cover athlete and namesake for the next installment of its golf franchise. The upcoming EA Sports Rory McIlroy PGA Tour – set for release June 2015 – will mark the first time since 1998 that the PGA Tour franchise will not feature Tiger Woods as its namesake. McIlroy is a 4-time Major Champion and the world’s top-ranking golfer. EA say that he represents a new generation of players for a new generation of consoles. The series was placed on hiatus after the release of the last title, Tiger Woods PGA Tour 14, in March 2013. Later that year EA announced that PGA Tour 14 would be the last title to be co-branded with Tiger Woods. EA Sports Rory McIlroy PGA Tour is the first EA Sports title to be developed using DICE’s Frostbite engine. The use of this engine allows for beautiful new environments, that will be the most detailed courses seen in the franchise thus far. Frostbite also allows the rendering of a whole course at once, alleviating load times between holes. The title will boast improved gameplay and brand-new modes and features. EA have said that they will share more details in the coming months. 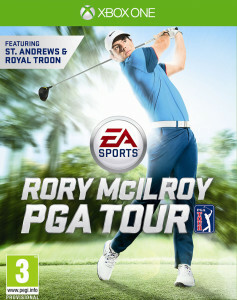 EA Sports Rory McIlroy PGA Tour is in development now by EA Tiburon, situated in Orlando, Florida. The title will be released June 2015 for the Xbox One and PlayStation 4 consoles.